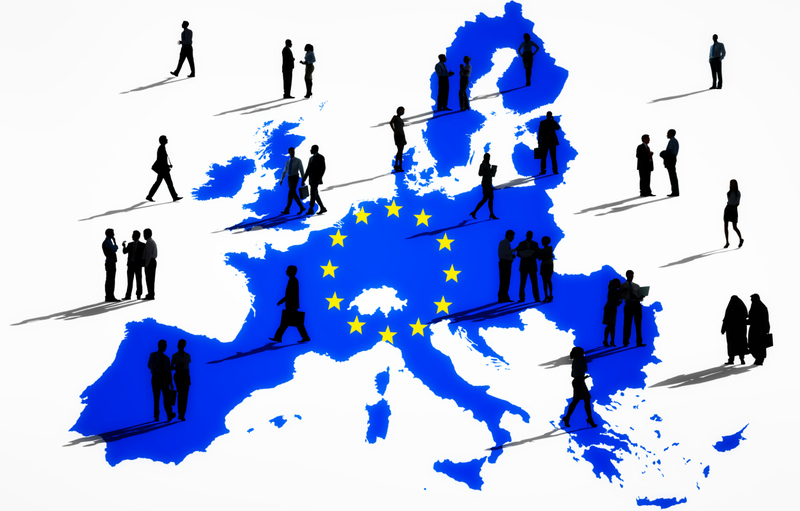 The FINANCIAL -- In the European Union (EU), nearly 8 million persons were employed in 2015 as Information and Communication Technology (ICT) specialists, representing 3.5% of total employment. Over recent years, both the number and the share of ICT specialists in total employment have continuously increased to better adapt to an ever digitalised world. This profession continues to be largely made up of men, accounting in 2015 for more than 8 ICT specialists out of 10 employed in the EU (83.9%). It also employed mainly highly educated people, with 6 ICT specialists out of 10 (60.5%) employed in the EU having tertiary level education. These data come from an article issued by Eurostat, the statistical office of the European Union, and are used for several EU policies, in particular initiatives under the Digital Single Market strategy. The uptake of new information and communication technologies has been a significant driver of changes to both production methods and employment patterns. In light of the competitiveness of the European economy and EU employment strategies, policymakers and researchers feel a natural interest in the employment of ICT professionals, a small but strategically important segment of employment. In 2015, ICT specialists in the EU were mainly employed in the United Kingdom (1.54 million persons), Germany (1.47 million) and France (0.95 million). These three Member States accounted for slightly more than half of all ICT specialists employed in the EU in 2015. In relative terms, the highest shares in 2015 of ICT specialists in total employment were recorded in Finland (6.5%) and Sweden (6.1%), followed by the Netherlands and the United Kingdom (both 5.0%), Luxembourg (4.6%) and Estonia (4.4%). At the opposite end of the scale, Greece (1.2%), Romania (1.9%), Lithuania (2.1%), Cyprus and Latvia (both 2.2%), Bulgaria and Portugal (both 2.3%), Spain (2.4%) and Italy (2.5%) registered the lowest proportions. Compared with 2011, both the absolute number and the share of ICT specialists in total employment increased in nearly all Member States by 2015, notably in Germany, France, Estonia, Hungary, Portugal and Finland. At EU level, the number of ICT specialists rose by almost 1.5 million persons between 2011 and 2015, and their share in total employment grew from 3.0% to 3.5%. In 2015, an overwhelming majority (83.9%) of ICT specialists employed in the EU were men. This was the case in every EU Member State, with proportions ranging from less than 75% in Bulgaria (72.3%) and Romania (72.8%) to around 90% in the Czech Republic (90.1%), Slovakia (88.6%), Hungary (88.1%), Luxembourg (87.4%) and the Netherlands (87.0%). Portugal, a striking contrast with total employment, where the genders are broadly balanced. In the EU in 2015, more than half (60.5%) of ICT specialists had tertiary level education. This was also the case in a majority of Member States. The highest proportion was registered in Lithuania (79.8% of ICT specialists had tertiary level education in 2015), ahead of Spain (78.7%), Ireland (77.5%), France (76.9%) and Belgium (76.2%). At the opposite end of the scale, the lowest proportion of ICT specialists having completed tertiary education was recorded in Italy (33.1%), followed at a distance by Germany (48.1%), Portugal (51.4%), Denmark (52.1%) and Sweden (52.6%). Persons with tertiary level education had a higher share in 2015 among ICT specialists than in total employment in all EU Member States, notably in Romania, Slovakia, the Czech Republic, Poland and Bulgaria. In 2015, more than 1 ICT specialist out of 3 (36.4%) was aged less than 35 in the EU. Across Member States, more than half of all ICT specialists employed were aged less than 35 in Malta (58.0%), Lithuania (55.3%), Bulgaria (54.6%), Latvia (52.2%), Estonia (52.0%) and Romania (51.4%). In contrast, persons aged less than 35 accounted for fewer than a third of all ICT specialists employed in Italy (25.4%), Denmark (28.6%), Sweden (30.1%), Finland (30.3%), the Netherlands (32.5%), Ireland (32.8%) and Luxembourg (33.0%). In 2015, there were proportionally more persons younger than 35 among ICT specialists than in total employment in a majority of Member States, with the only exceptions being Denmark, the Netherlands, Sweden, the United Kingdom, Finland, Luxembourg and Ireland.